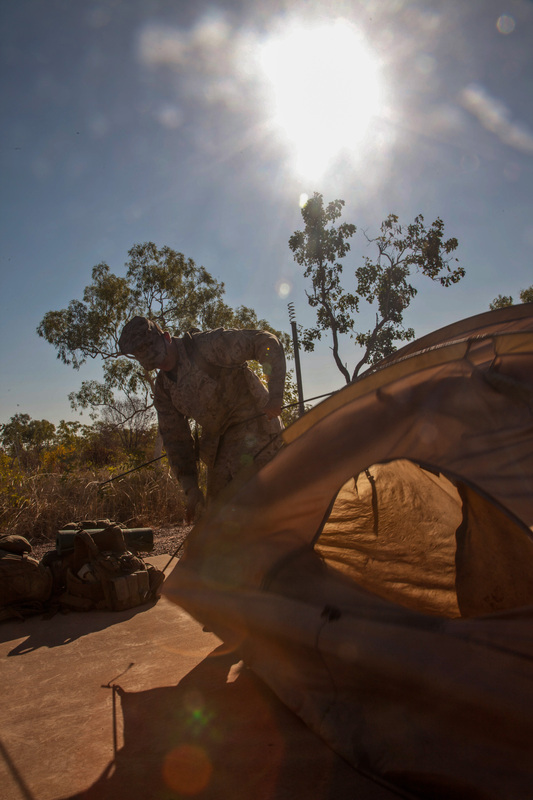 About 850 Marines headed to the remote Australian outback to test the capabilities of a training range as the U.S. prepares to deploy a battalion-landing team-sized unit there next year. Exercise Koolendong 2013 kicked off on Tuesday at Bradshaw Field Training Area outside Darwin, Australia. The two-week long exercise will be conducted with about 1,000 Australian and U.S. troops. It is designed to assess the capabilities of the training field to accommodate live-fire training for a battalion-sized unit, according to a Marine Corps news release. Included are about 700 members of the 31st Marine Expeditionary Unit, based out of Japan, and about 150 members of Lima Company, 3rd Battalion, 3rd Marines. Also participating are about 100 Australian soldiers. The Marines with Lima Company, 3/3, are more than halfway through their six-month deployment to Darwin, Australia. They’re the second Marine company to deploy to Darwin as the Corps works on a phased approach to building up to a presence of 2,500 there by 2016. The Australian government has approved the second phase of the build-up to begin next year, so the number of Marines there will increase to about 1,100. The Marines and Australian soldiers will be conducting day and night live-fire training, according to the news release. That will include light and heavy machine guns, mortars, artillery and aviation-delivered ordinance from AV-8B Harriers and FA/18D Super Hornets. The 31st MEU will also provide assault support transportation via MV-22 Ospreys, CH-53E Super Stallions and UH-1Y Hueys. The training field is about 200 miles southwest of Darwin, where the Marines are currently deployed in Australia. It’s a remote training range in the Northern Territory and is spread over 3,300 square miles, according to the news release. Col. John Merna, commanding officer of the MEU, said the exercise also highlights the ability of his force to serve as the region’s choice in the event of a crisis. “We can move personnel and equipment with organic MEU assets and bring what we need to sustain ourselves … without significant external assistance,” Merna said, according to the release.